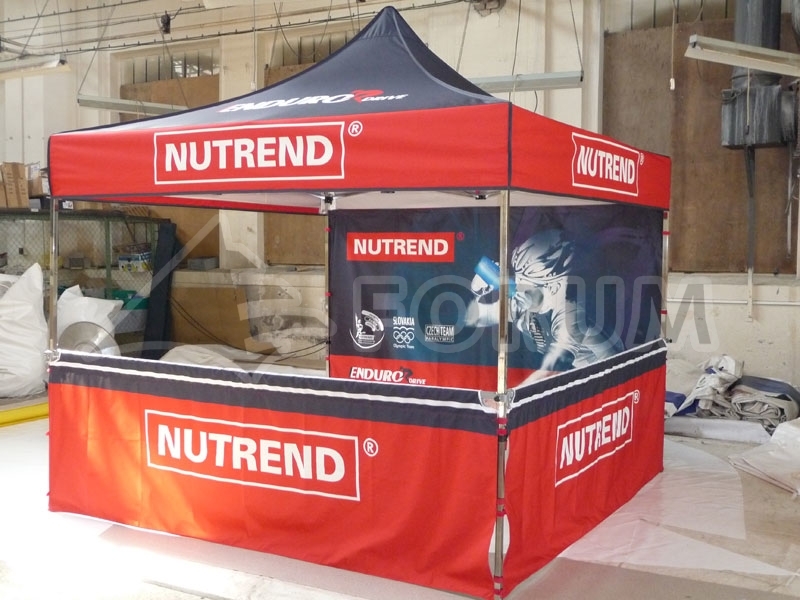 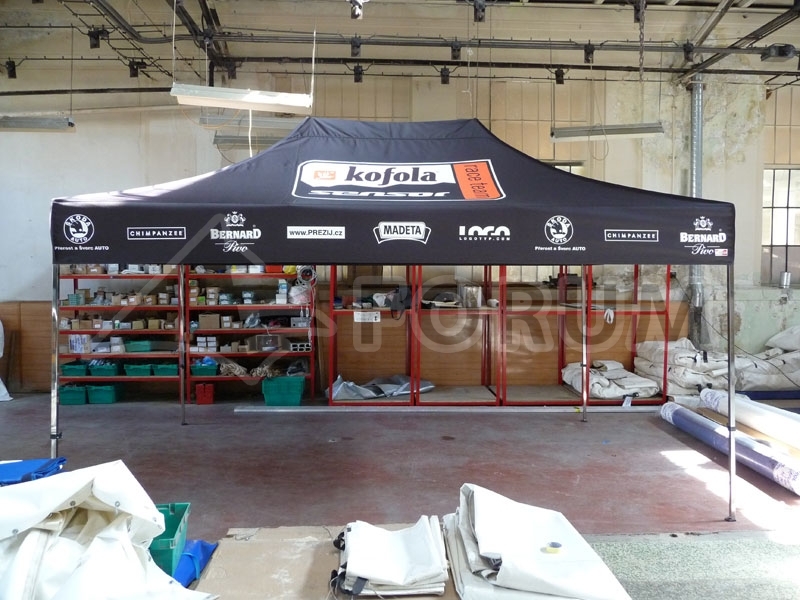 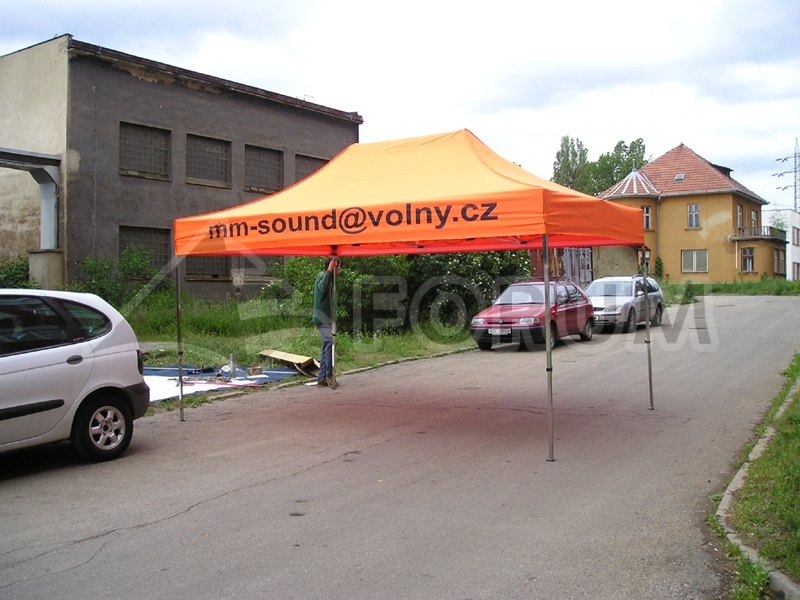 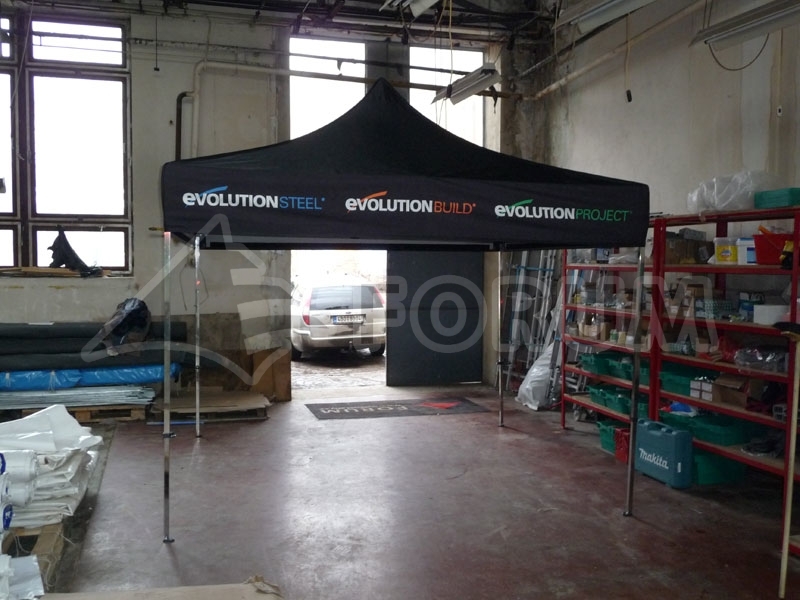 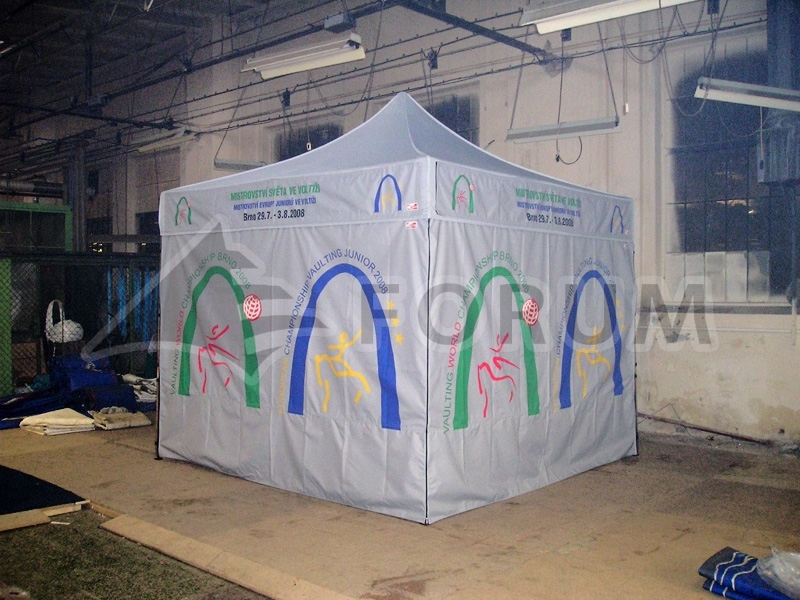 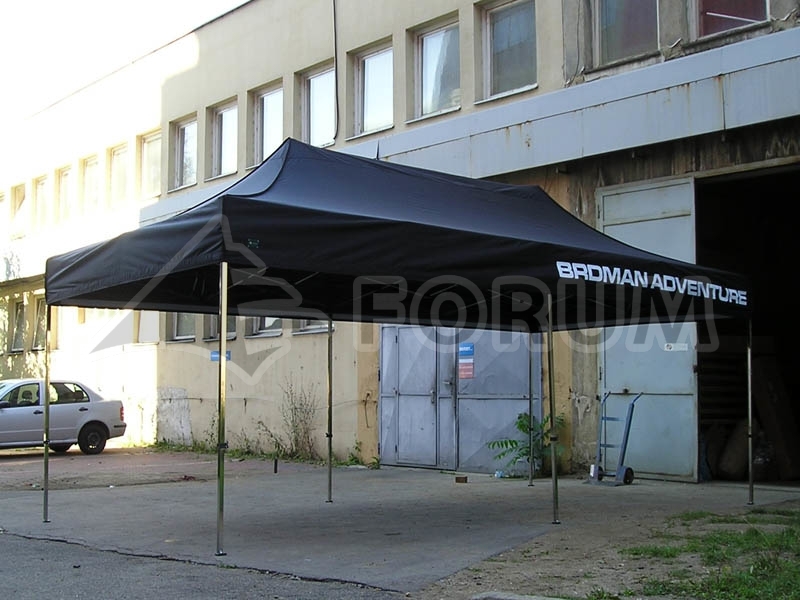 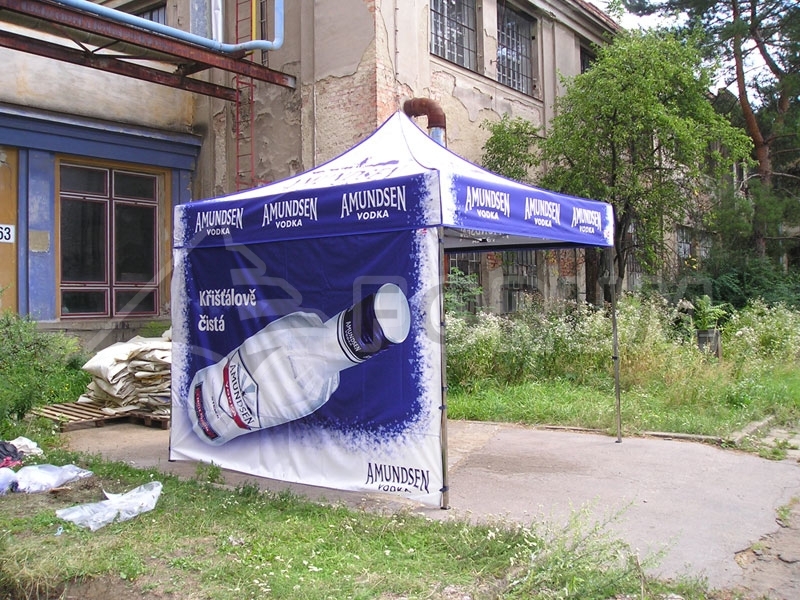 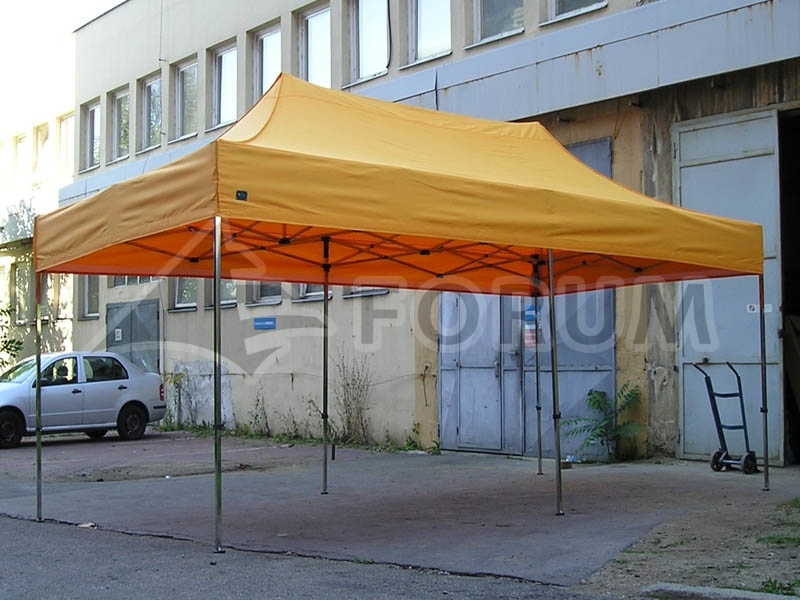 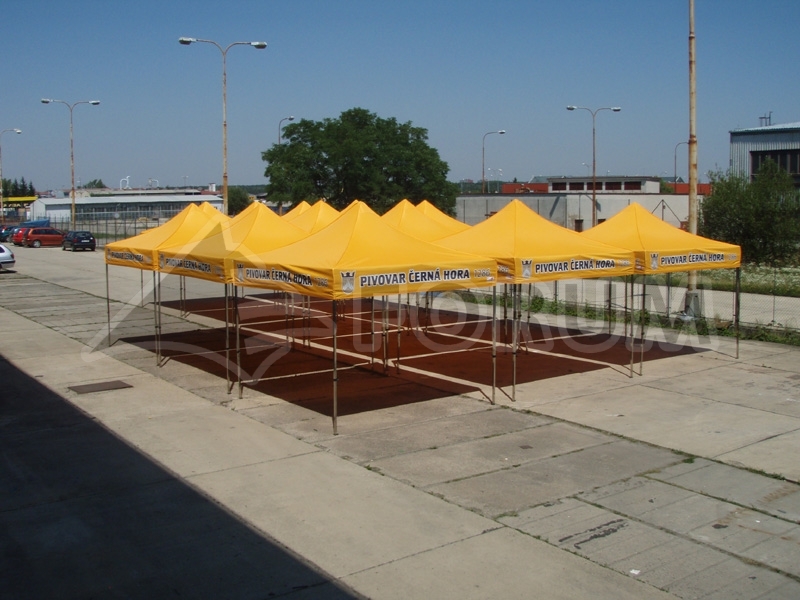 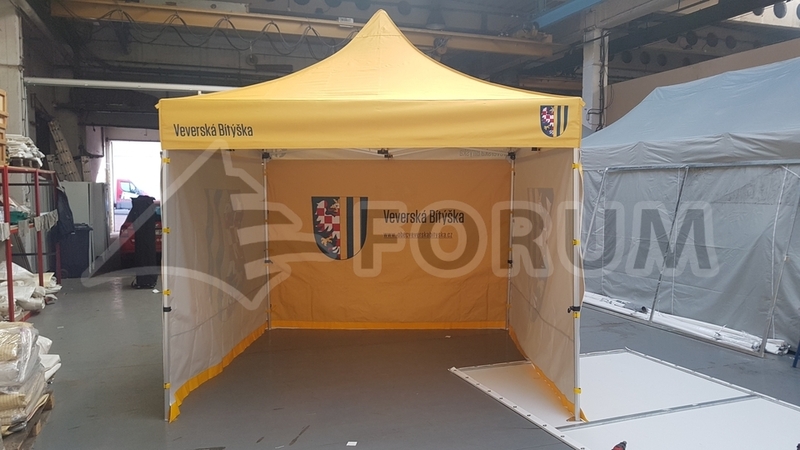 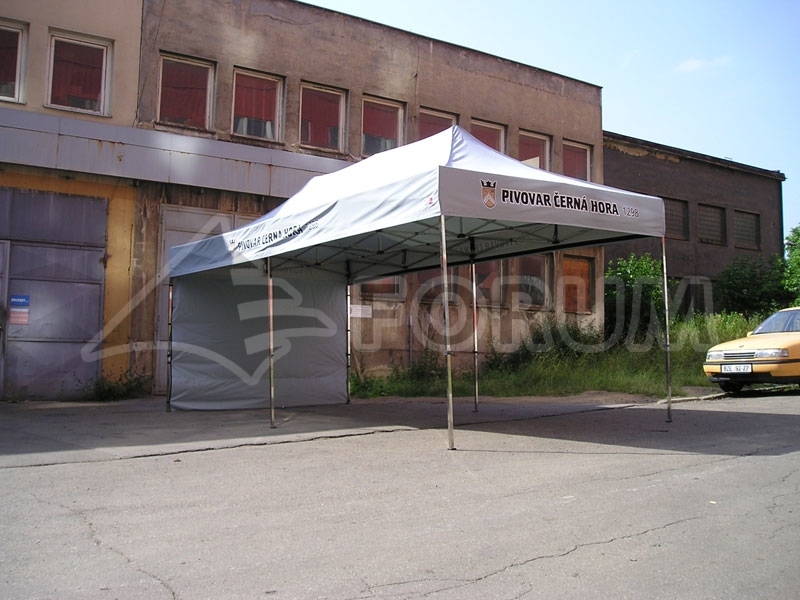 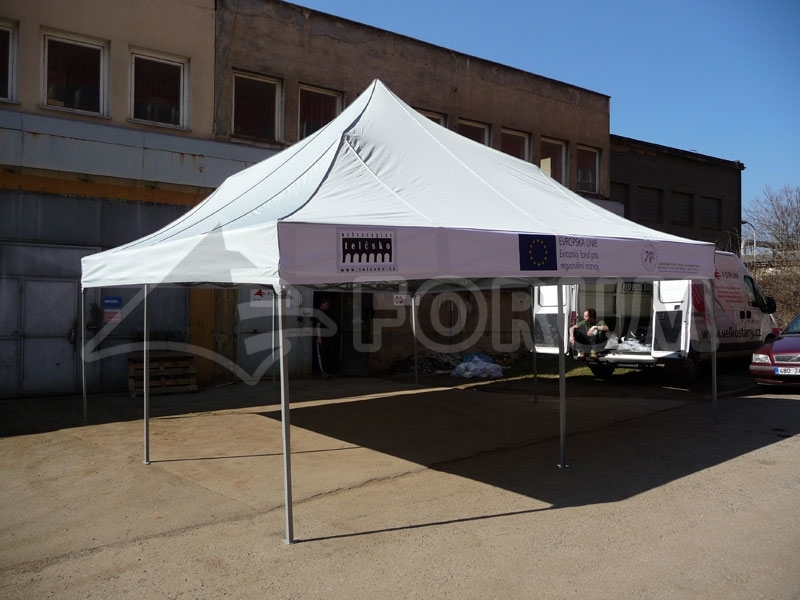 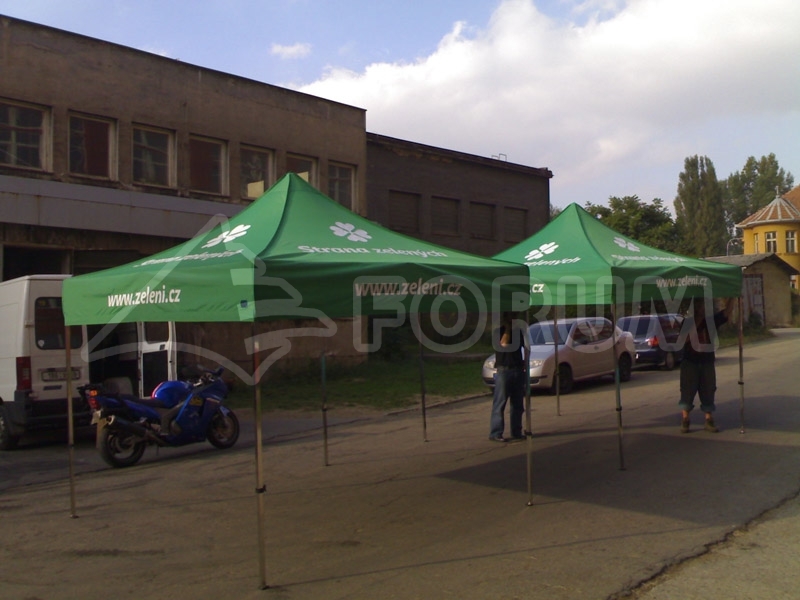 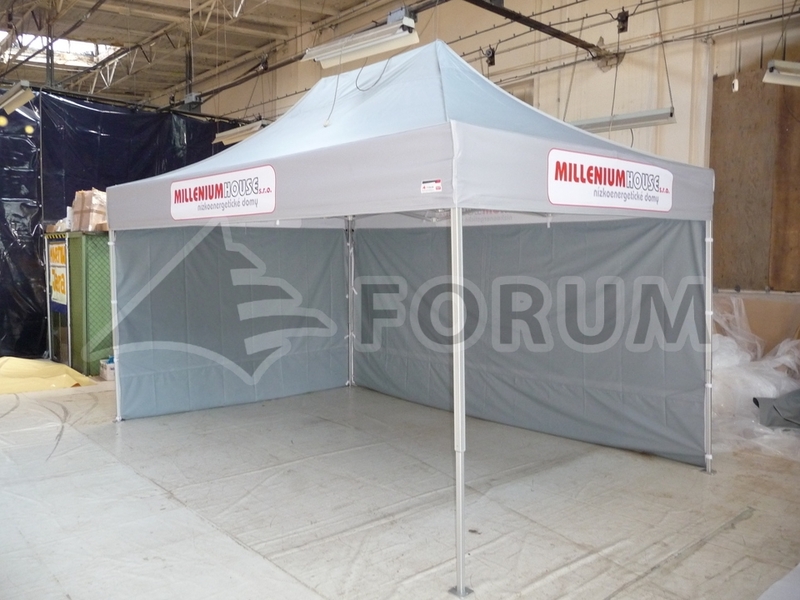 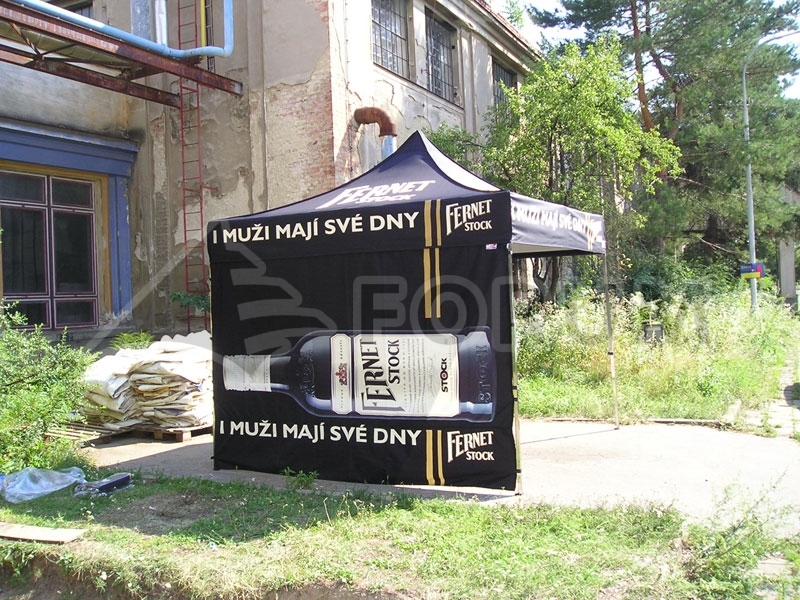 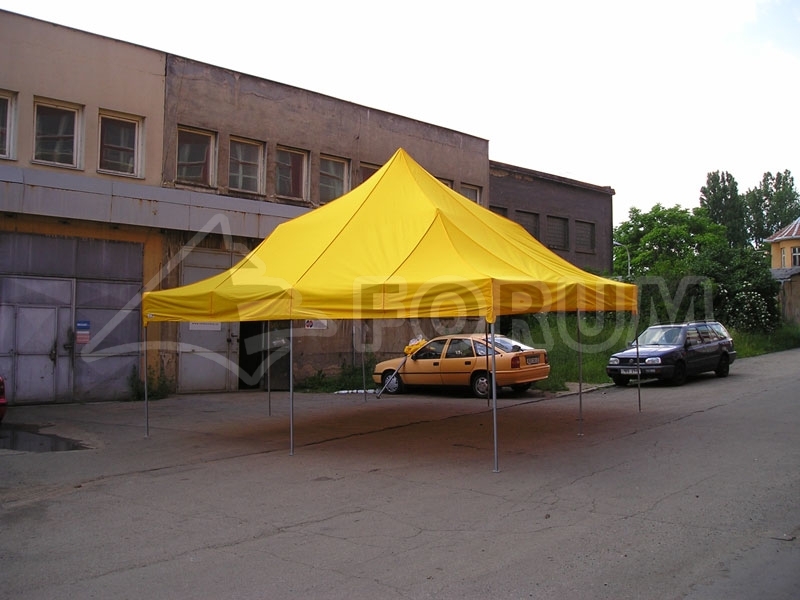 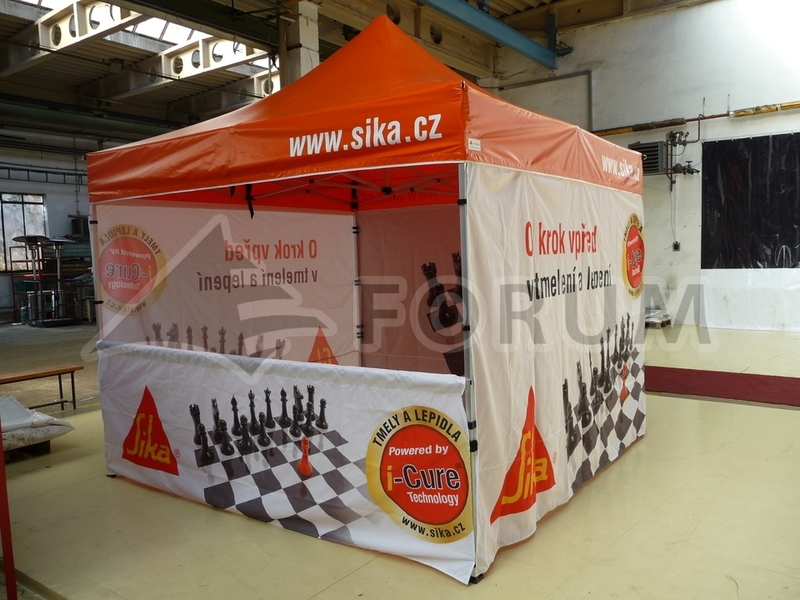 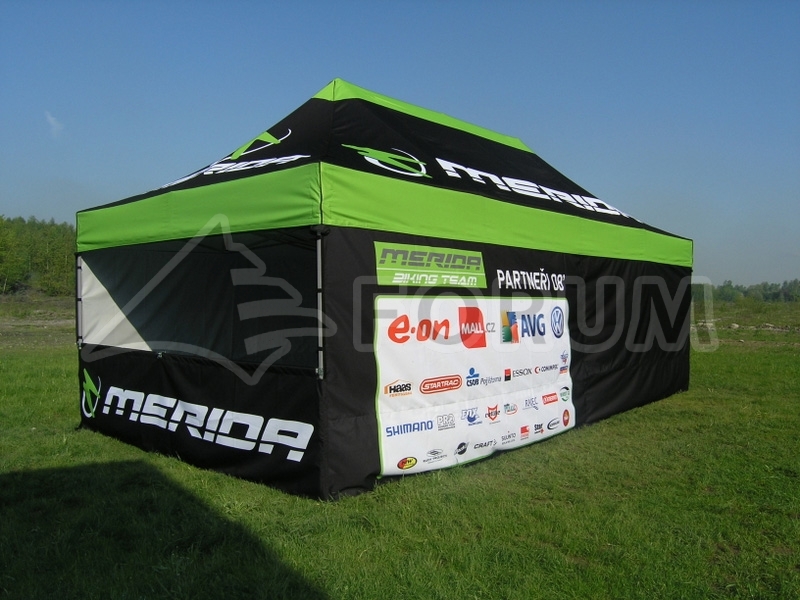 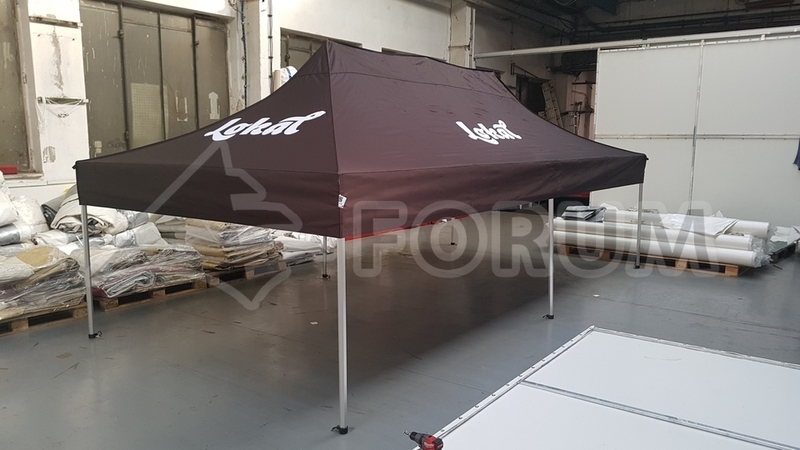 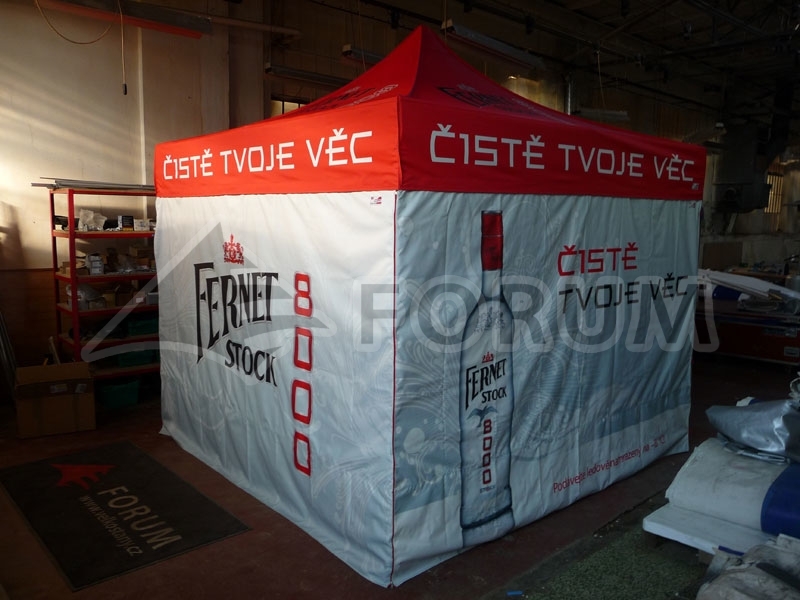 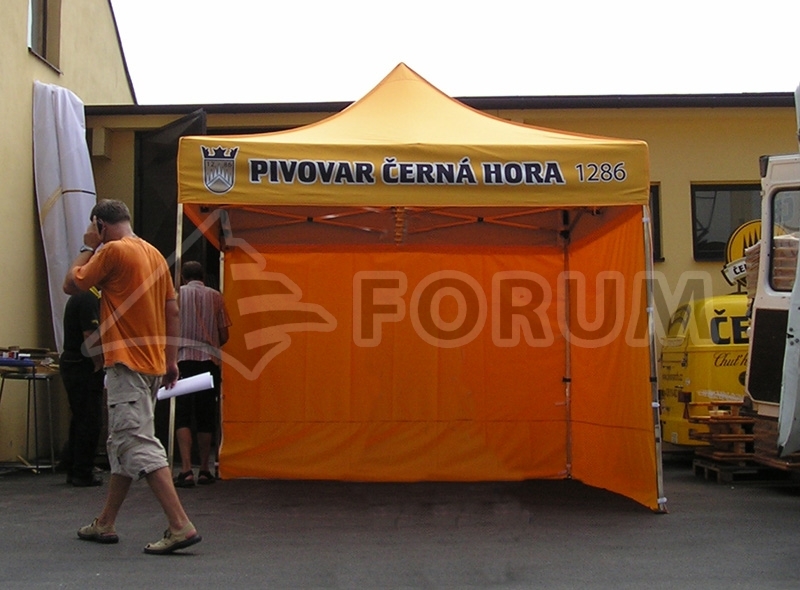 Canopy tents are available in pleasing and representative design and can serve as a shelter or stool at various social events. 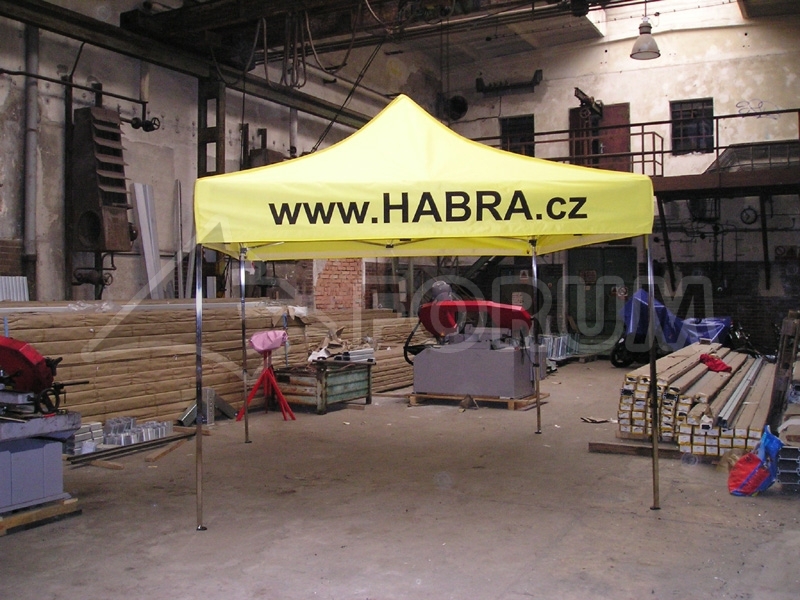 Their main advantage is their simple and quick tool-free assembly and the possibility to transport them in a special wheeled bag. 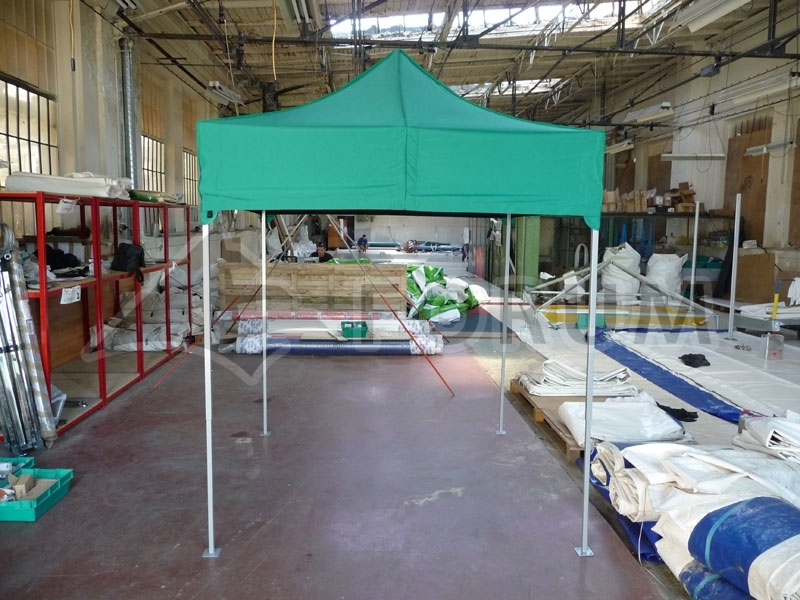 Definitely the easiest assembly you have ever come across! 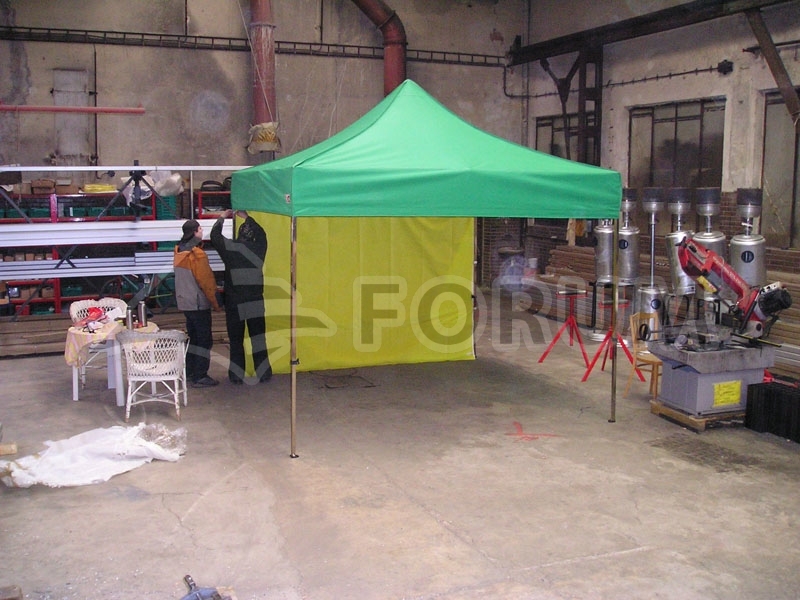 Special „scissor“ mechanism of the structure does all the difficult parts for you. 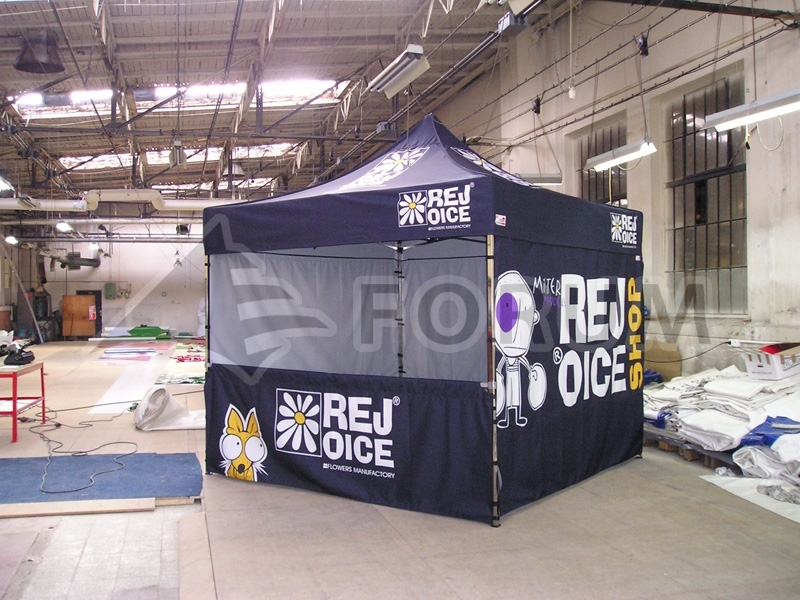 The roof stays fixed on the structure and is resistant to fire, water, decomposition, mould and UV rays. 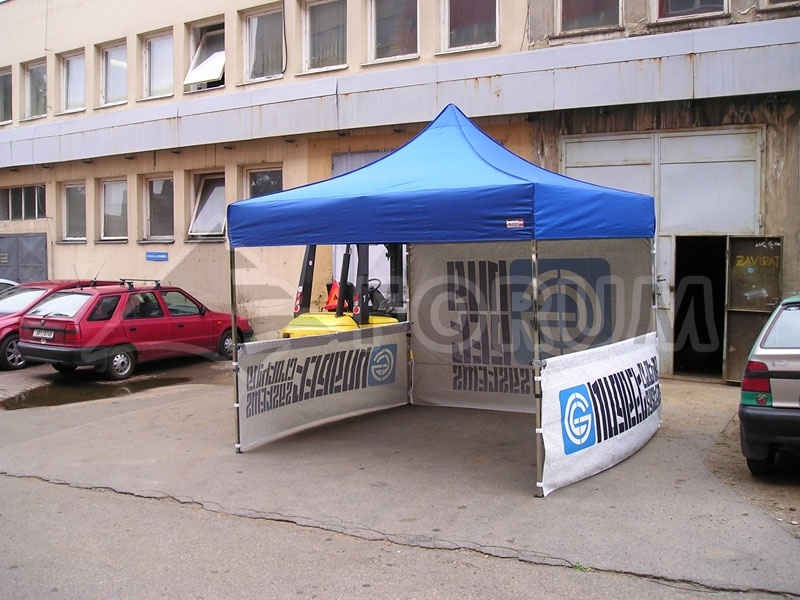 For the tent transportation you can order a special wheeled bag. 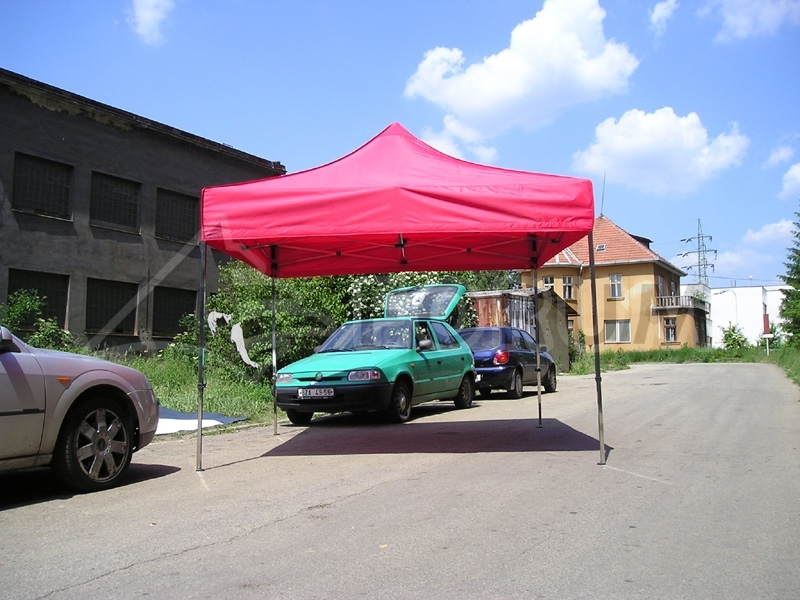 You can transport the whole tent in a car. 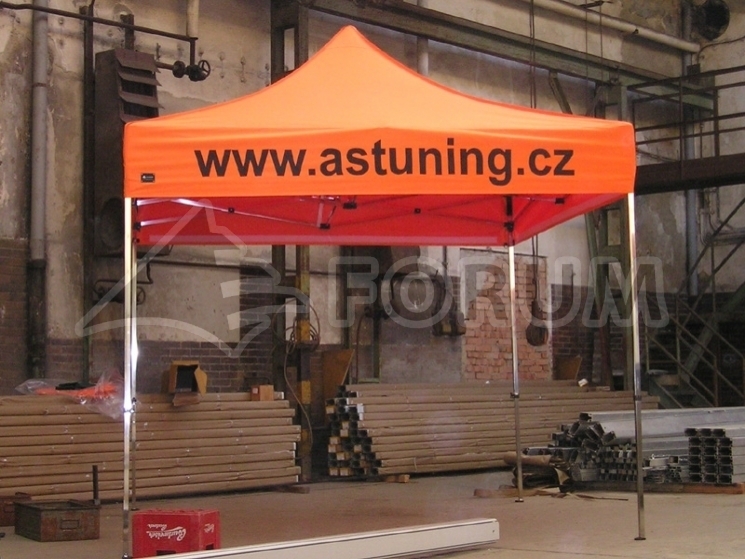 Bearing structure is made of steel or alluminium profile with surface finish. 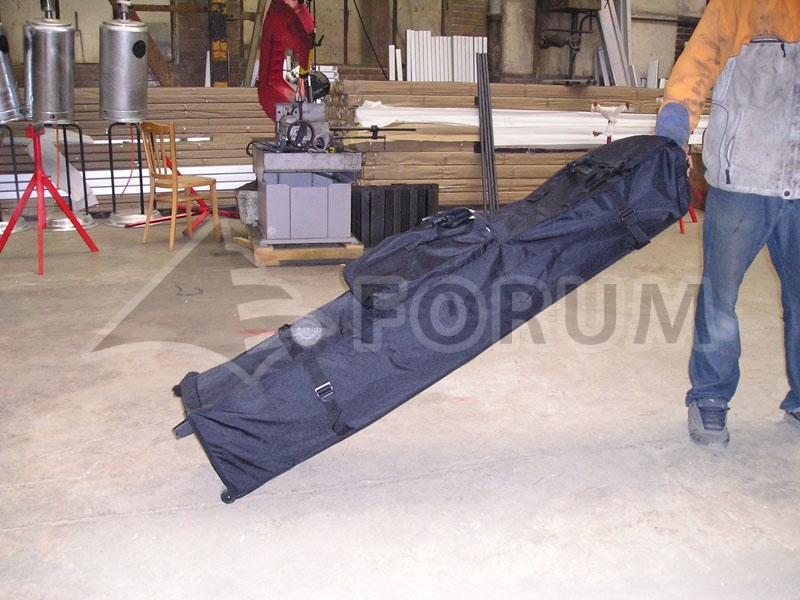 Riders and pads between rectangular struts of the scissor system are made of hard plastic or alluminium sleeves with silicon inserts. 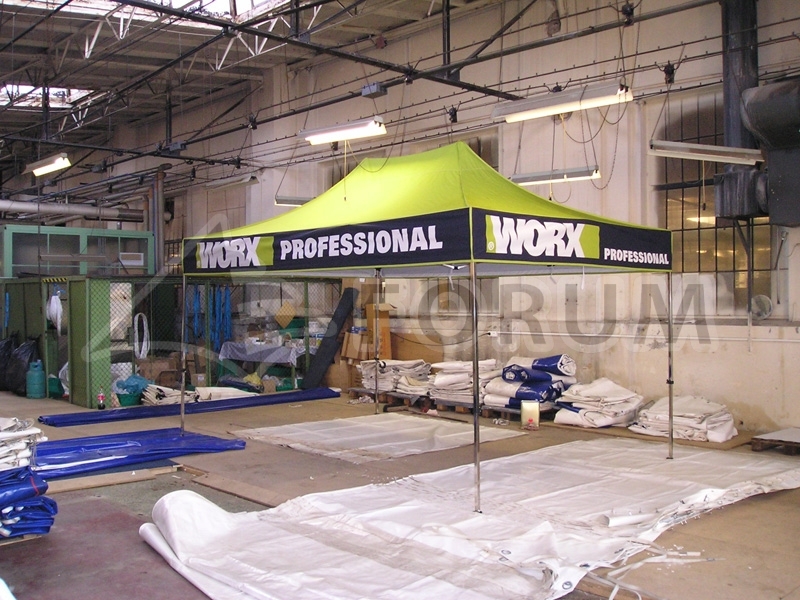 The whole structure is completely assembled, which makes redundant mounting of individual sections. 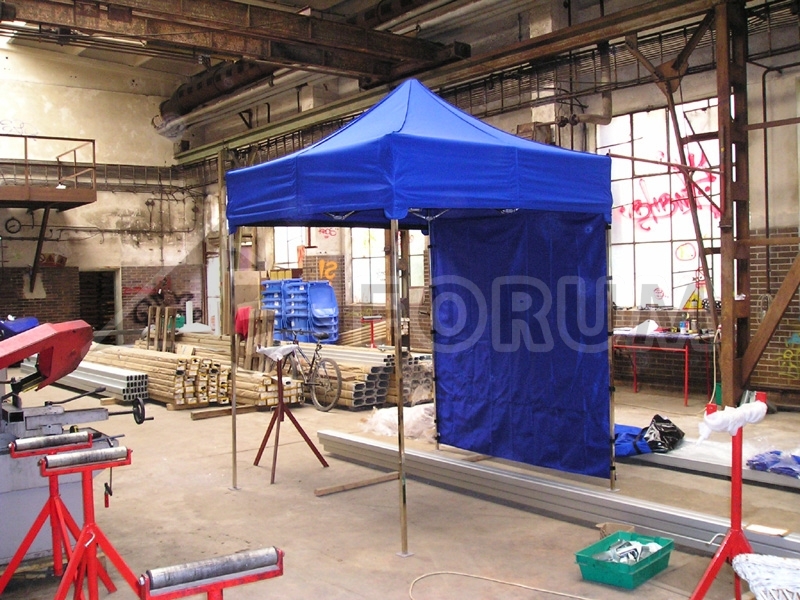 Complete assembly consists of opening the structure which is resistant to weather conditions. 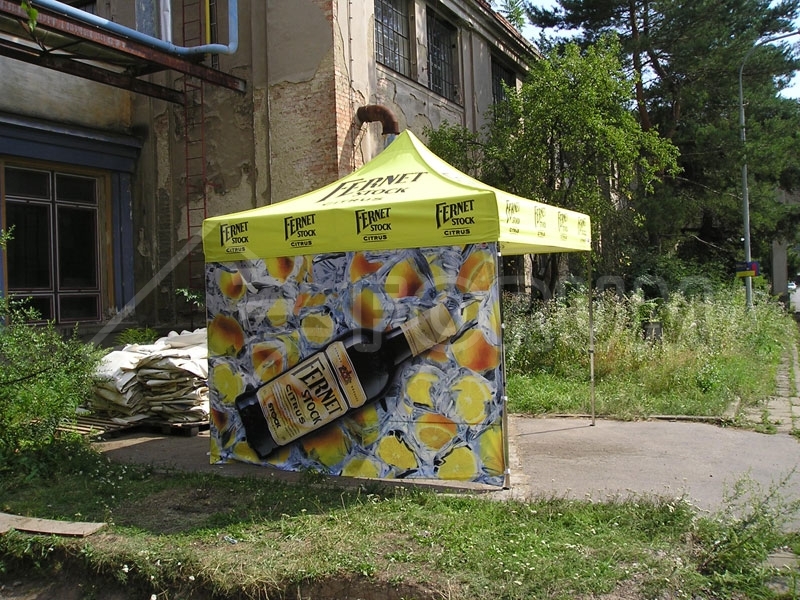 The canvas is made of polyester with polyurethane layer. 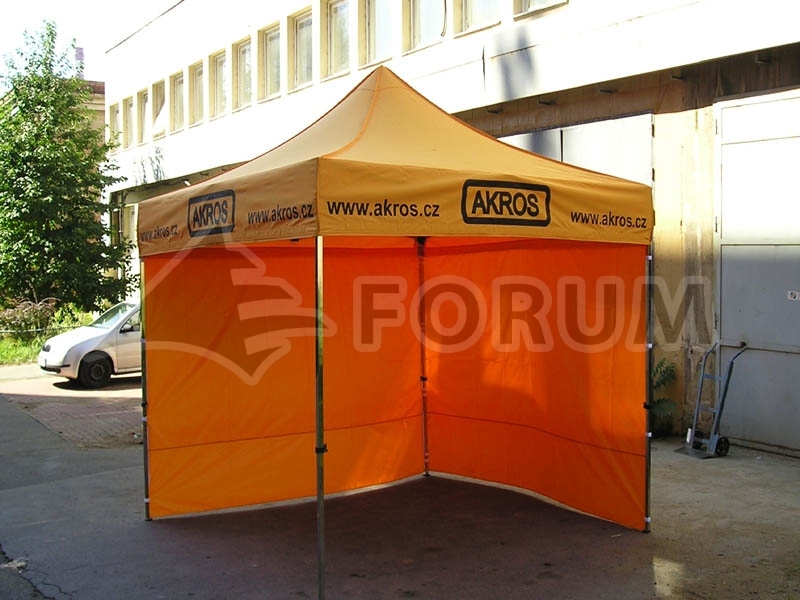 External vertical seams with „S“ locks are backed and guarantee water impermeability. 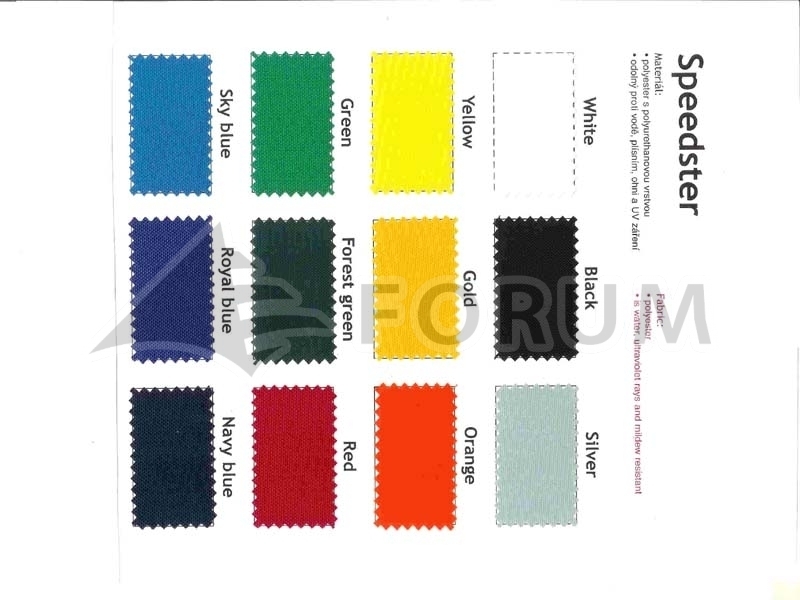 Colour rendition of the used sailcloths can be specified according to current colour sample books (see below).